We have approached the era of robots being used in transport as well as military applications. Pick and place mechanisms are used in robotic vehicles for goods transport as well as military applications like bomb defusal. Robots are usually controlled through remotes with joysticks and a buttons. These remotes are not always comfortable to use and also have a strain on fingers after constant use. So here we use a motion controlled approach to tackle this issue. 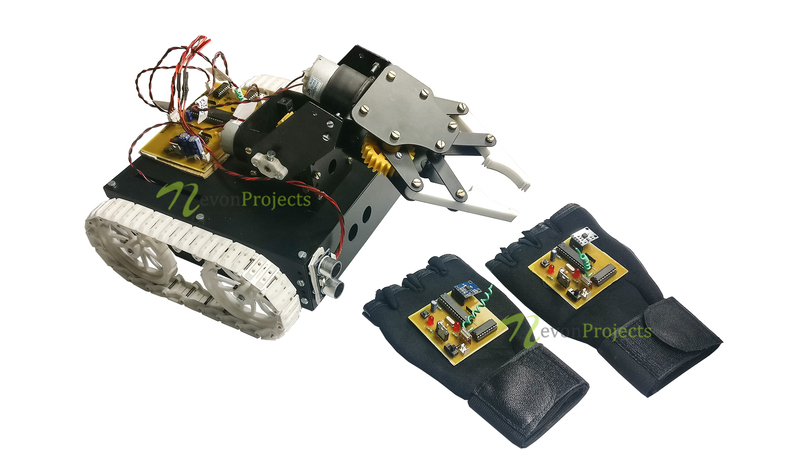 We propose a completely hand motion controller robotic vehicle using tilting motions which does not need a single button press. This allows us to control vehicle motion as well as the pick and place arm simultaneously. 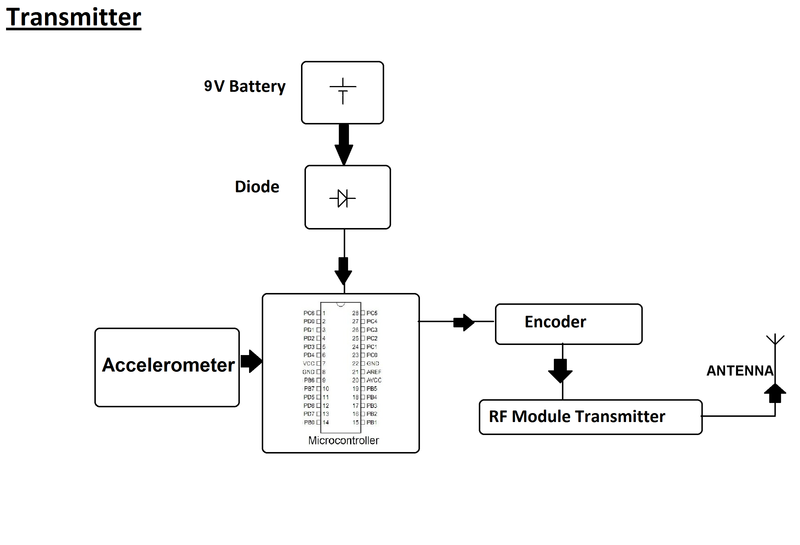 We make use of an atmega based microcontroller circuitry in the transmitter section to transmit the motion commands sent by accelerometer sensor through rf to the receiver unit. The receiver unit is equipped with an rf receivers to receive the transmissions parallely from both the transmission units. 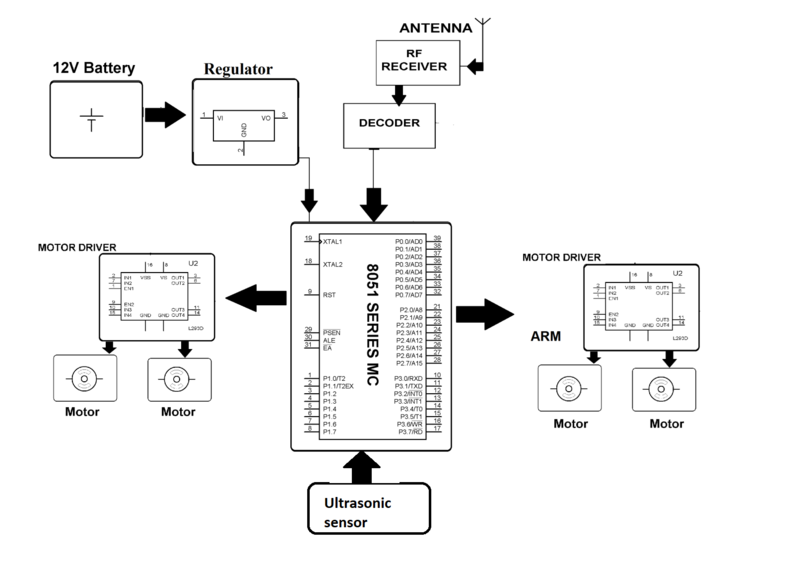 We then use an 8051 family microcontroller to convert the received in to motion commands. 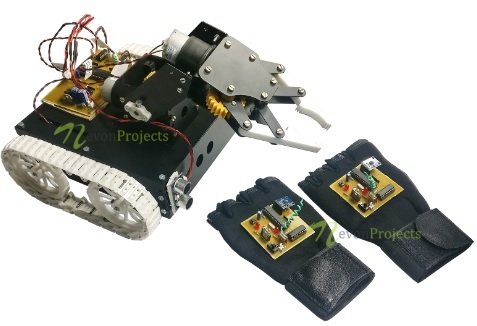 These motion commands operate the vehicle as well as the pick and place arm parallely to achieve complete robot movement without any button press.